Gotham – It’s A Wrap! It’s official the fifth and final season of Gotham finished filming on Tuesday 11th December 2018. Erin Richards who is directing the episode along with Gotham cast member Ben McKenzie officially announced and celebrated with confetti party poppers. Andrew Sellon who plays Mr Penn was there to see the celebration of heart felt messages, a few tears and laughter. Andrew shared a photograph of the Belgian Waffle truck that David Mazouz and Sean Pertwee had hired for their wrap party. Robin Lord Taylor the day before shared on Instagram that Monday 10th December was his last day as Oswald Cobblepot as he was driven to Steiner Studios in Brooklyn New York. With all this news of Gotham reaching their final days of filming TV Line was very generous and shared exclusively the Gotham cast new portraits for season 5. The one thing I always look forward to when I know there is going to be a new season there will also be new promotional photographs, and these new Gotham portraits don’t disappoint. 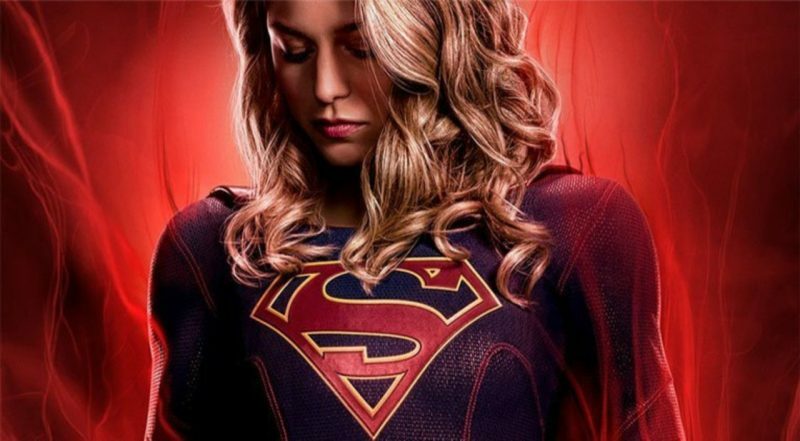 Stunning, atmospheric and showing the great detail that goes into the costumes as the characters they are evolving into the characters that we know and love. Check out the gallery below to see the new portraits, I am very happy to see that Cameron Monaghan as Jeremiah Valkesa has been included along with Shane West as Bane. Definitely! 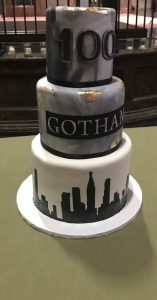 Not only were the cast and crew celebrating a wrap on the season it was also Gothams 100 Episode. 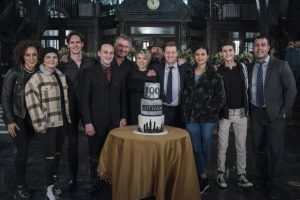 To get to 100 episodes in television is a huge achievement and I am so thankful that the Gotham was given two extra episodes to reach this milestone. 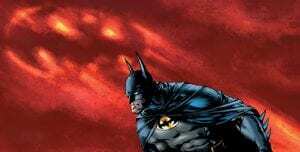 The Legend Of The Dark Knight is definitely on his way and as fan of the show I still have a huge amount of mixed feelings about Gotham ending. So I have decided I am going to put them aside and enjoy the twelve episodes and see where this magnificent prequel DC show will take us. Episode 1 “Year Zero” airs on Thursday 3rd January 2019.